WATCH: New Shaft trailer is here and it's a blast! 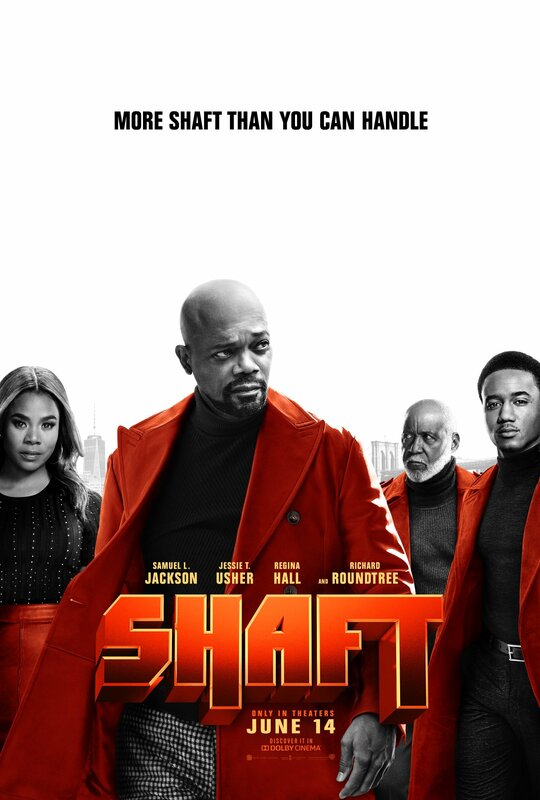 The new Shaft movie has dropped it’s trailer and features not one, not two but THREE generations of the iconic character with Samuel L Jackson returning along with original Shaft Richard Roundtree and new generation Jess T Usher as Jackson’s Shaft’s son. Honestly, this looks like a lot of fun! Tim Story (the “Ride Along” and “Think Like a Man” franchises) directs this all-new take on a legend, starring Oscar nominee Samuel L. Jackson (“Pulp Fiction,” “Kong: Skull Island”), Jessie T. Usher (TV’s “Survivor’s Remorse,” “Almost Christmas”), Regina Hall (“Girls Trip,” “Barbershop: The Next Cut”), Alexandra Shipp (“Straight Outta Compton,” “X-Men: Apocalypse”), Matt Lauria (TV’s “Kingdom,” “Friday Night Lights”), Titus Welliver (“Argo,” TV’s “Bosch”), Cliff “Method Man” Smith (“Keanu,” “Train Wreck”), and Richard Roundtree, the original John Shaft. JJ, aka John Shaft Jr. (Usher), may be a cyber security expert with a degree from MIT, but to uncover the truth behind his best friend’s untimely death, he needs an education only his dad can provide. Absent throughout JJ’s youth, the legendary locked-and-loaded John Shaft (Jackson) agrees to help his progeny navigate Harlem’s heroin-infested underbelly. And while JJ’s own FBI analyst’s badge may clash with his dad’s trademark leather duster, there’s no denying family. Besides, Shaft’s got an agenda of his own, and a score to settle that’s professional and personal. The film is produced by John Davis (“Game Night,” “Joy”) under his Davis Entertainment banner. “Shaft” is written by Kenya Barris (“Girls Trip,” TV’s “Black-ish”) & Alex Barnow (TV’s “The Goldbergs”), based upon the character John Shaft from the novel by Ernest Tidyman. Serving as executive producers are Tim Story, Ira Napoliello, Kenya Barris, Marc S. Fischer, Richard Brener and Josh Mack. Story’s behind-the-scenes creative team included director of photography Larry Blanford (“Ride Along,” “Tag”), production designer Wynn Thomas (“Hidden Figures”), editor Peter S. Elliot (“Ride Along 2”), and costume designer Olivia Miles (“Ride Along 2”). The music is by Christopher Lennertz (“Nobody’s Fool,” “Pitch Perfect 3”), and Dave Jorden served as music supervisor.